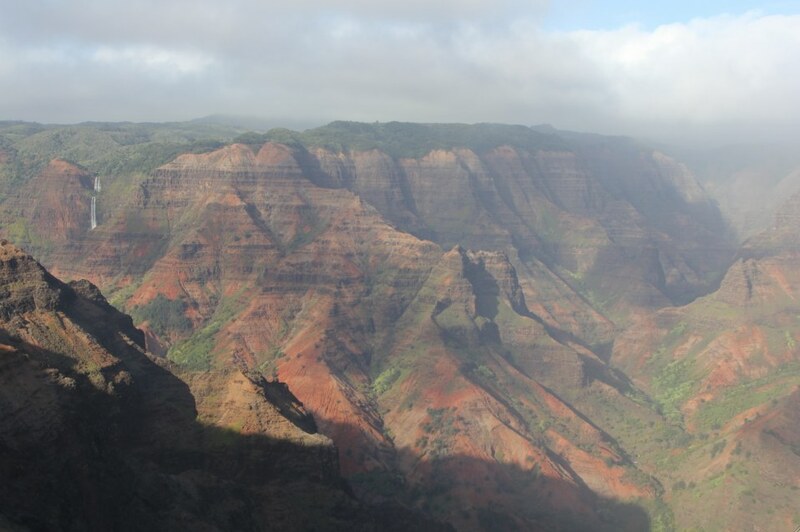 Waimea Canyon is a large canyon on the west side of Kaua‘i. It’s known as the Grand Canyon of the Pacific, though it’s not quite as grand. It measures a mere 10 miles in length (compared with the Grand Canyon’s 277 miles), up to 2 miles in width (the Grand Canyon is 18 miles wide in some places) and is 3000 feet deep (the Grand Canyon is twice as deep). It’s not surprising that it’s smaller than the Grand Canyon, though; it’s had less time to develop. Debates rage about the age of the Grand Canyon, but geologists seem to agree that the Columbia River has been eroding its sides for 6 million years. Kaua‘i didn’t even exist 6 million years ago! 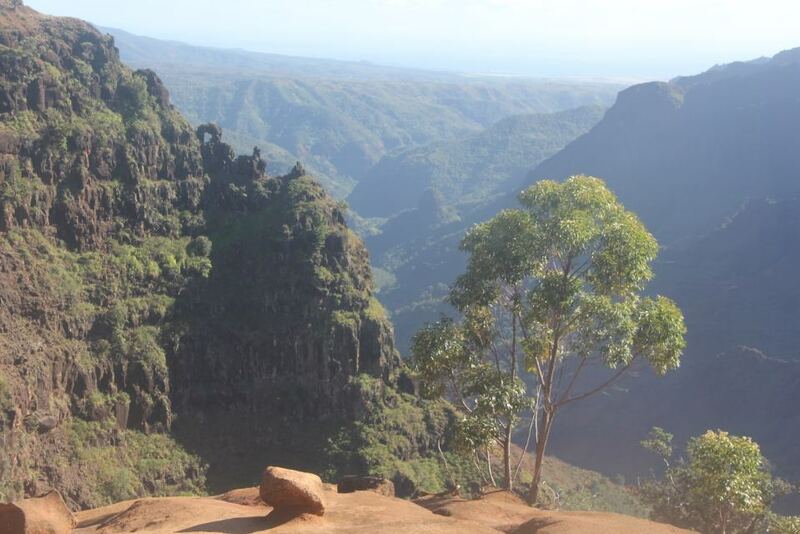 Waimea was formed by erosion from extreme rainwater running down from Mount Wai‘ale‘ale. It’s known as one of the wettest places on earth, so there’s been plenty of rain to do the eroding. The name “Waimea” is Hawaiian for “reddish water”, which is the colour of the rainwater as it picks up sediment from the red soil in the area. 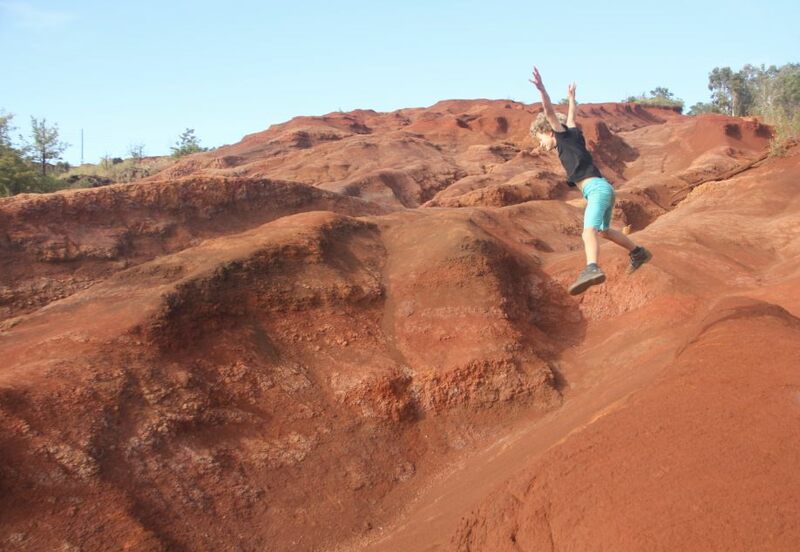 Waimea is significantly less busy than the Grand Canyon, and, despite being a runt compared with the chasm in Arizona, is arguably more impressive. Maybe that’s because the Grand Canyon is such a behemoth that it’s impossible to grasp its size. Or maybe it’s Waimea’s striking green and red colouring. 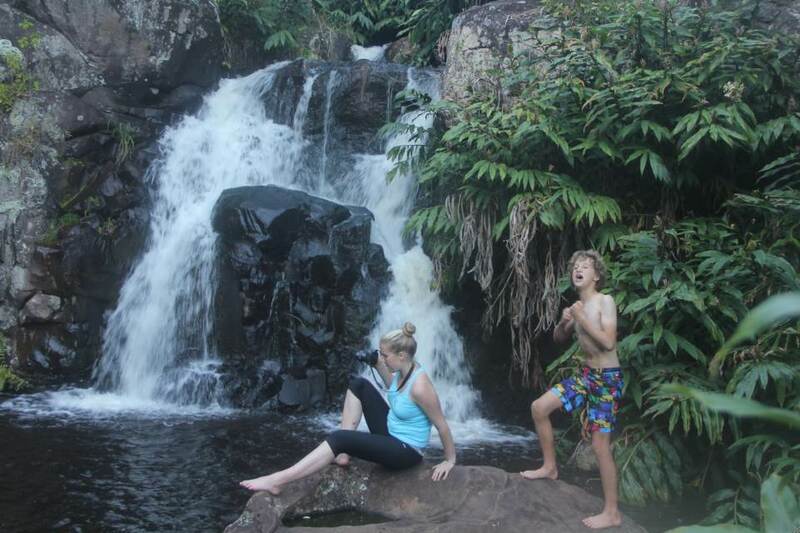 We hiked along the canyon and found a waterfall for the kids to paddle in. Max was Tarzan.